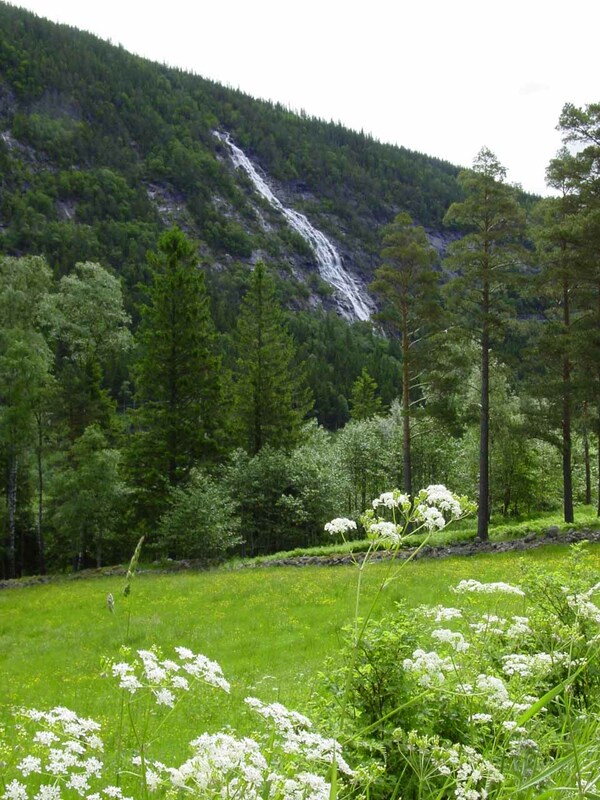 The waterfalls near Rjukan (I think is pronounced “RHEE-oo-kahn”) page was originally created to highlight Rjukanfossen, which was the main waterfall in the area. Just to give you an idea of how impressive this waterfall was supposed to be, this towering 104m waterfall was so named because it generated a lot of mist (as the name of the falls translated as “the smoking falls”). 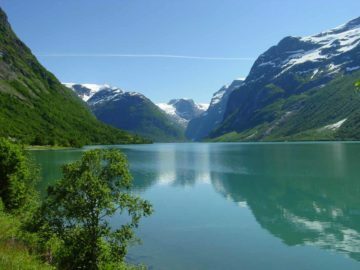 Indeed, it was the main attraction of the town of Rjukan, which was once called the “Cradle of Tourism” in Norway as was said to have brought the firsts tourists to Telemark County. 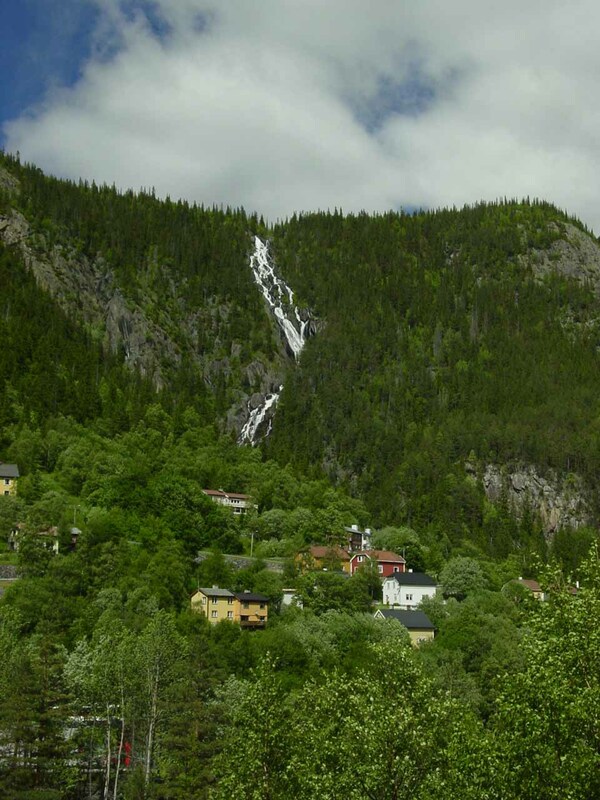 But since that waterfall was dammed while Julie and I had trouble even finding it (probably because it wasn’t flowing during our visit in June 2005), this page is now devoted to the handful of waterfalls we noticed while touring the Rjukan area. I couldn’t really single out a particular waterfall not named Rjukanfossen since they weren’t officially named and there didn’t seem to be any infrastructure highlighting them in the form of lookouts, signs, or even mentions in the tourism literature. 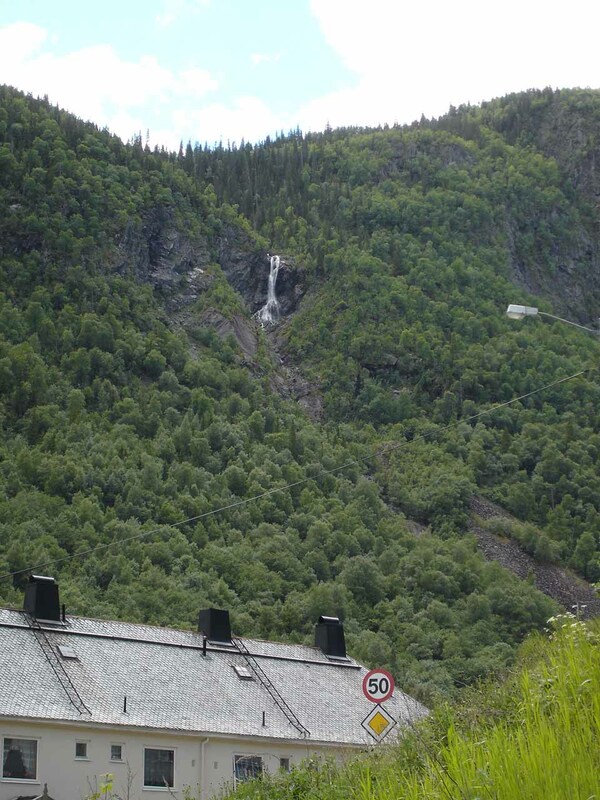 That said, perhaps the most notable of these waterfalls was the one pictured at the top of this page, which was opposite the Vemork Power Station on the Våeråi watercourse. 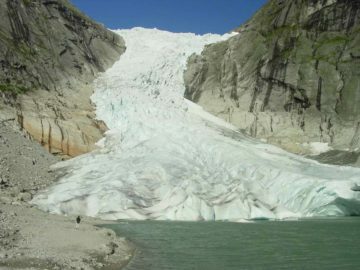 Thus, I suppose it could be unofficially named “Våeråi Falls” (“Våeråifossen”). 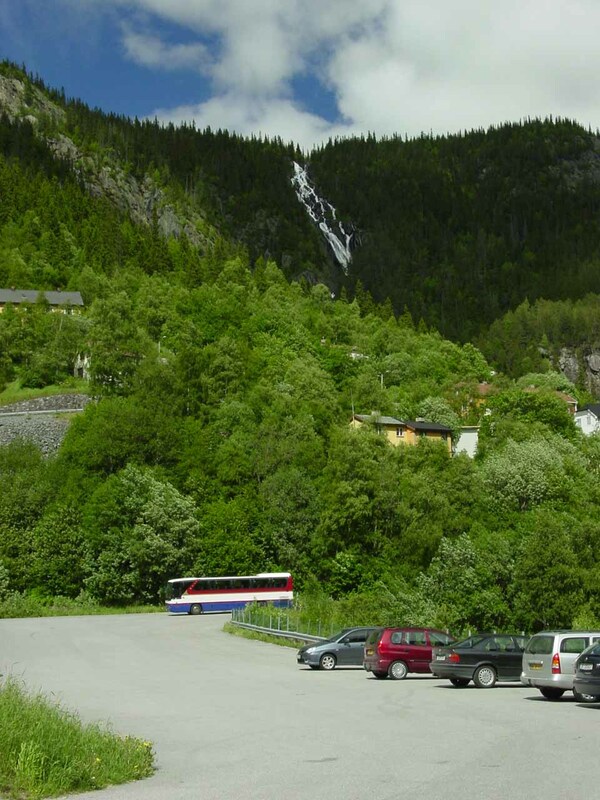 Finally, regarding the flow of Rjukanfossen, the lady at the visitor center in Rjukan told us that the water holding up the stream responsible for the falls would only be released a handful of days out of the year. 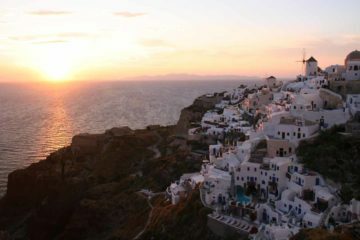 We didn’t get any exact dates, but for sure it wouldn’t occur during our visit. 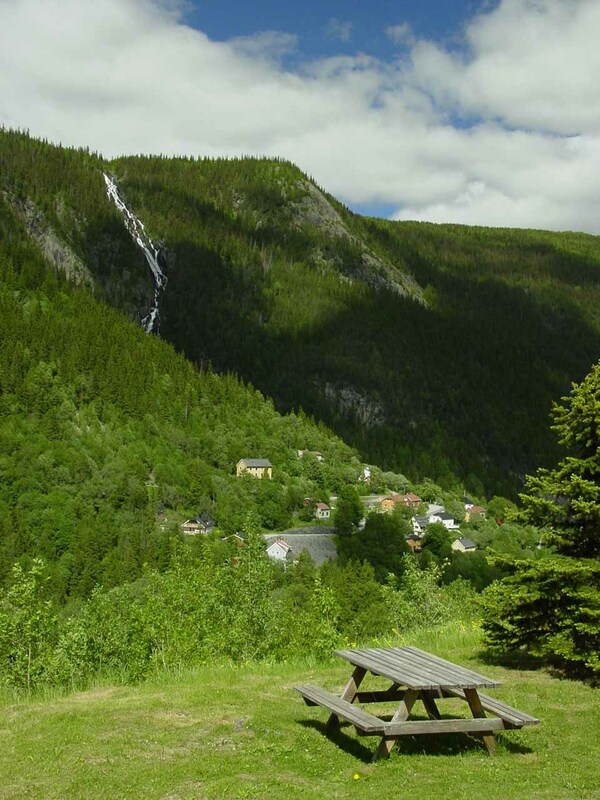 Julie and I also learned that in addition to the former glory of Rjukanfossen, the town of Rjukan was said to have played a pretty critical role in the outcome of the second World War. 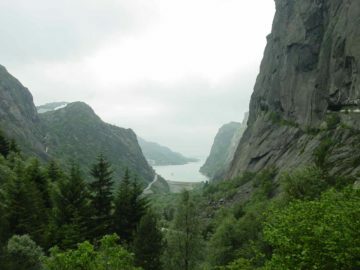 The reason why was that Rjukan was the site of a heavy water plant, which produced one of the ingredients necessary to develop nuclear weapons. 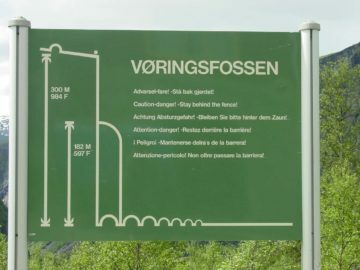 We learned that Norwegian and British allies destroyed that heavy water plant during the time that Hitler’s Nazi forces had occupied this part of Europe. This act of sabotage might have undermined the Third Reich’s attempts at coming up with the nuclear arms first as it probably bought the opposition forces more time to break through and come up with their own nuclear weapon before the Nazis did. 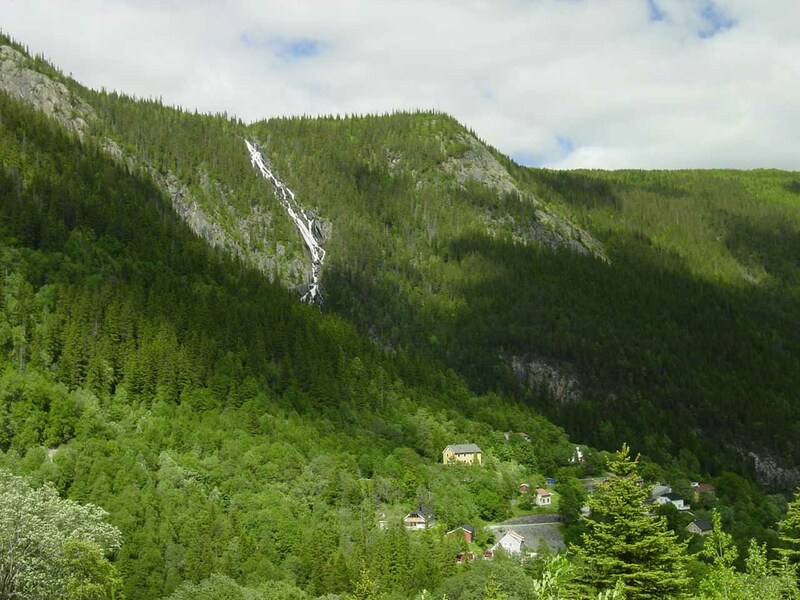 The waterfalls on this page are in or near the town of Rjukan. 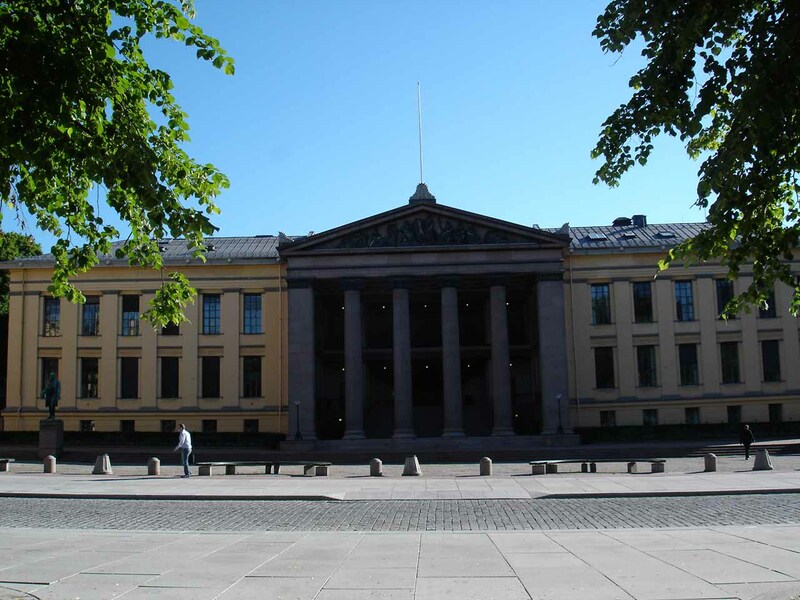 For information or inquiries about the area as well as current conditions, visit their tourism website. 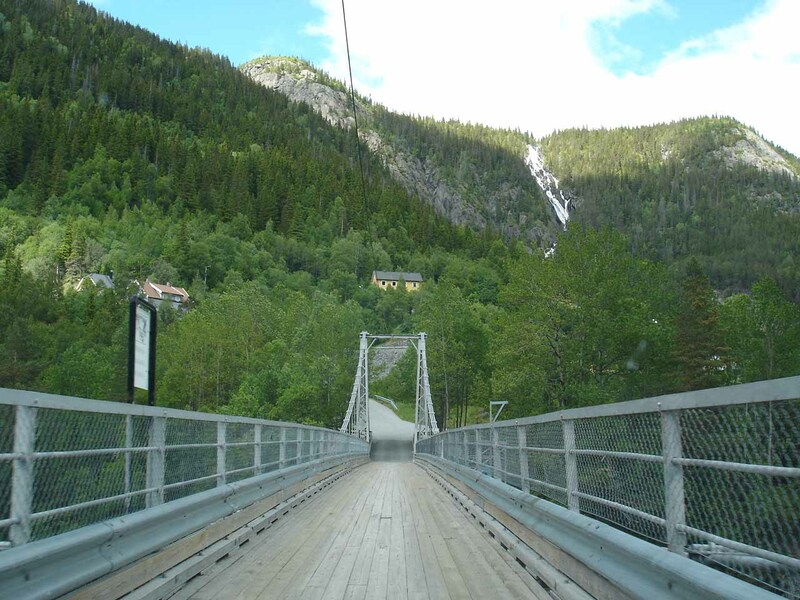 Julie and I drove to Rjukan from Oslo, which was about a three-hour drive (176km). We started by driving about 41km west on the E18 before taking the E134 west. We followed the E134 for about 87km west to the Rv361 (note that the Heddal Stave Church (stavkirke) was about 77km from the E18 along the E134 or 6km west of Notodden). 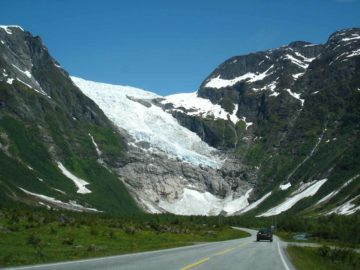 Turning right onto the Rv361 (which then merged with the Rv37 in about 10km), we then drove north then west directly to Rjukan, which was 58km from the E134. 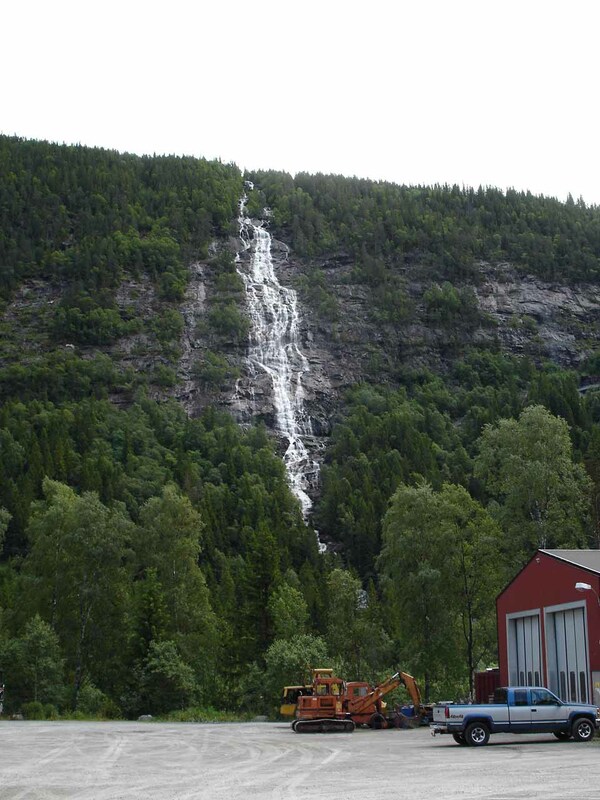 We started seeing waterfalls 7km before town and saw a handful of others around town. 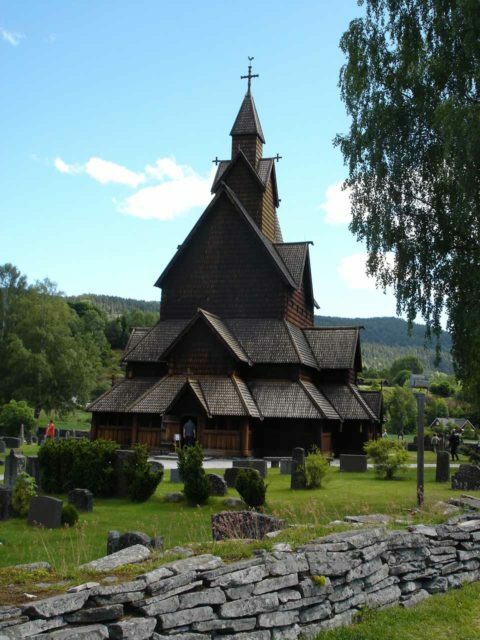 For further context, Rjukan was about 300km (4.5-5 hours drive) north of Kristiansand.